Dont miss out on this unbeatable price! 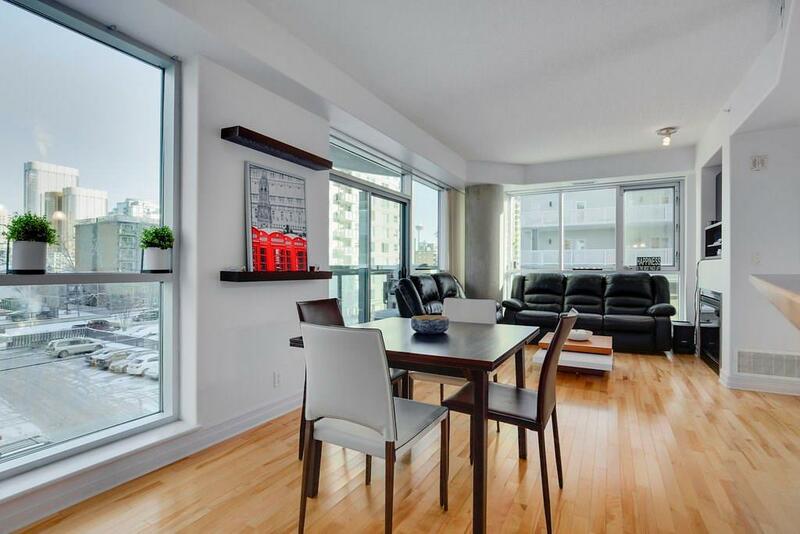 This 2 bedroom, 2 bath CORNER unit is conveniently located steps from 17th Ave in one of the best buildings in the Beltline core. 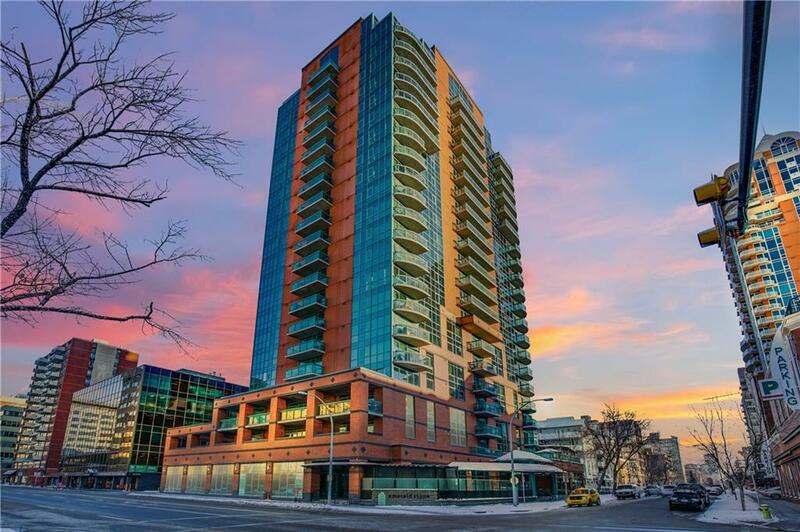 Located in the CONCRETE Emerald Stone building, this condo features floor to ceiling windows throughout, with downtown views of the Calgary Tower and boasts an abundance of natural light. The functional open floor plan allows for plenty of privacy with separated bedrooms & bath, perfect for roommates, kids room, or office. 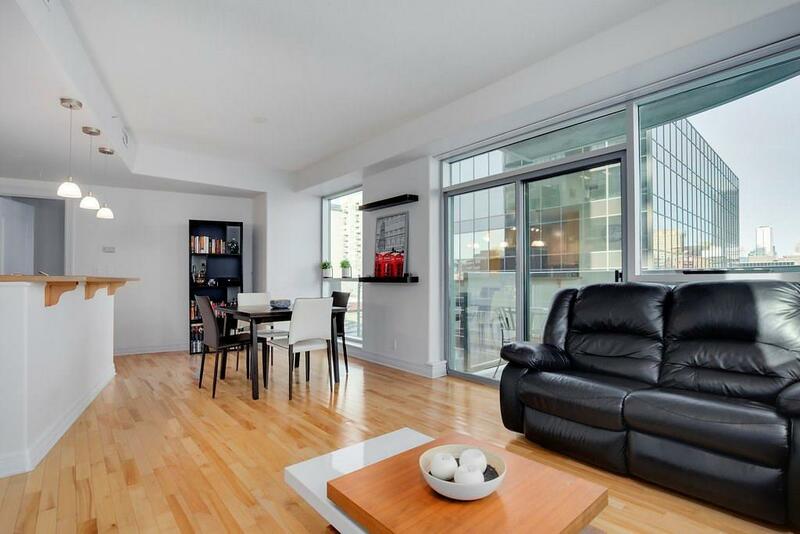 Featuring hardwood floors, open kitchen with raised eating bar, and in-suite laundry. The large master bedroom offers dual closets with a 4-piece ensuite. 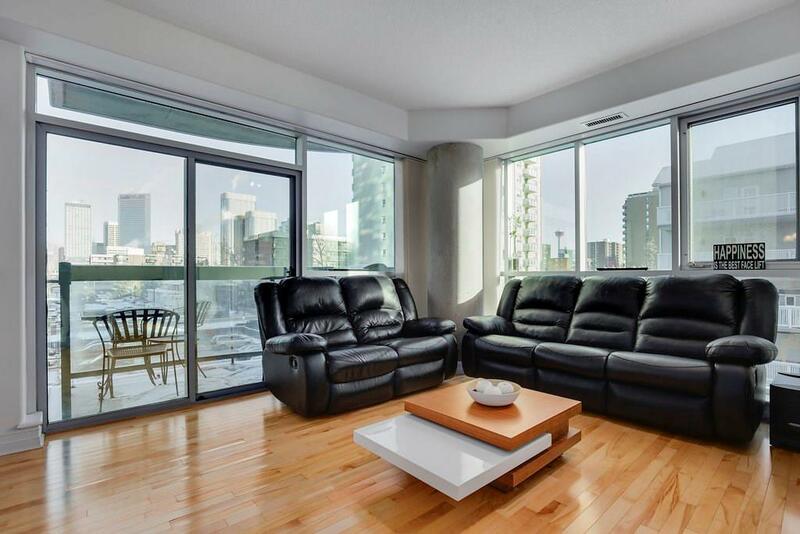 This building includes a new rec room/lounge area complete with pool table & media room, an impressive fitness area with floor-to-ceiling windows throughout, air conditioning, one titled underground parking stall (this unit has one of the best spots), additional storage locker, and offers a selection of dining on the main level (Noodle Box & Paros Real Greek).